The Simple Plan drummer talks about a memoir about a family's life in Iraq, Syria and Canada. Chuck Comeau is the drummer from the band Simple Plan, which he co-founded in 1999 in Montreal. The band has sold more than 15 million albums and performed in over 70 countries worldwide. Their hits include the songs I'm Just a Kid, Addicted and Welcome To My Life. 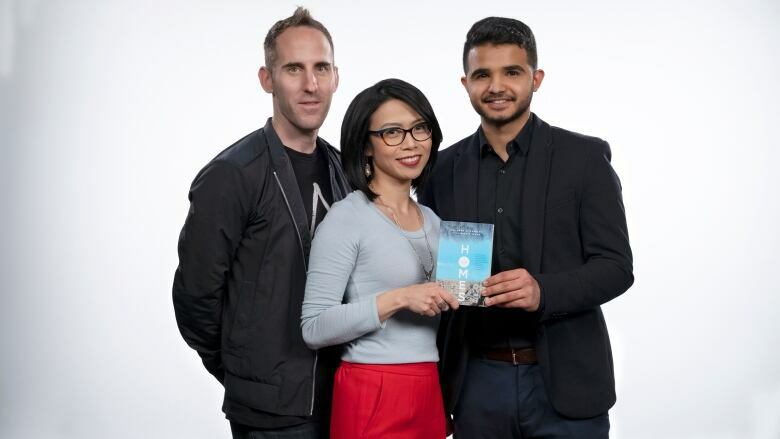 Comeau is also a Canada Reads 2019 panellist, defending Homes by Abu Bakr al Rabeeah and Winnie Yeung. On Jan. 31, CBC Books revealed the 2019 contenders. On CBC Radio's q and on Airplay with Dave White, Comeau talked about why he chose Homes and why he's taking part in Canada Reads. "Homes is the story of a 10-year-old boy living in Syria in the middle of the civil war. And his reality is having car bombs explode three blocks away from his school, having snipers posted on his apartment building taking people out as he tries to sleep. There are fighter jets flying over his house. He's playing with bullets because they're the only toys he can find. It's this incredible, heartbreaking life and his family knows they have to leave. And after five years of trying so hard they're finally able to move to Canada. "Just when you think you've arrived at the happy ending, you realize how traumatic and how difficult it is for a teenage boy to leave all of his best friends and his cousins and his family behind to go to a place he's never been, where he doesn't speak a word of the language. He has to reinvent his life completely. When he gets here, he feels so grateful but at the same time feels guilty for feeling lonely and sad and missing home. Because he never wanted to leave in the first place. It was just so dangerous he had to go." "Abu Bakr al Rabeeah is 17 years old and he wrote this book as an after-school project with his English teacher [Winnie Yeung]. It was self-published at first. Then they found this tiny little publisher that believed in the book and now somehow it's on the national stage. It's a life-changing opportunity for these two people. Don't forget about us. Tell our story. Tell people what we're going through. "Try to put yourself in the shoes of this boy who was in Syria five years ago dodging bullets... and now he's on TV telling his story. That's the one thing that his friends that he left behind asked him. They looked in his eyes as he was leaving and said, 'Don't forget about us. Tell our story. Tell people what we're going through.' Now we have the chance to talk about this book and I just feel that's so emotional and inspiring and powerful." "Underneath this whole story about war and being a refugee there's a love story between a father and his son. A dad who has eight kids and has a thriving business in Syria. And he sacrifices everything that he is to give the next generation a chance at a better life. I'm a new father — I have a three-and-a-half-year-old son — and that just hit home for me. We would all give up anything for our kids and our families. That's the secret sauce of this book. It's not just about the war and destruction; it's about this group of people that love each other so hard and are willing to do anything for each other. This is a memoir that is full of hope and heartbreak, which I'm so excited to champion." Chuck Comeau's comments have been edited and condensed.